Free Game Alliance is a collection five free and open source games spread across a variety of genres. All these games are cross platform and work on Linux, Mac and Windows. The initiative was started by Atomic Blue, makers of MMORPG PlaneShift. However, FGA is made by all the projects participating in it. FGA aims to support these projects and increase awareness about them, so more developers and contributors can join them and collaborate. 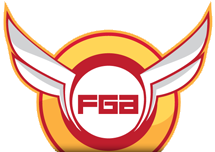 FGA website will also provide regular updates and development news about these games. The Free Game Alliance is a collection of games created to sponsor and bring to everyone the concept of Open Source and to have the participating projects support each other. Hundreds of volunteers, enthusiast about game development, are working in their spare time to learn about game development, to let their imagination run free, and to develop games as they always wanted to. Many of them do not have enough visibility or enough support to really become finished products and that's something FGA wants to improve! FGA is open to new open source games and may add more projects in future. Read more about the pre-requisites to be a member of the alliance.